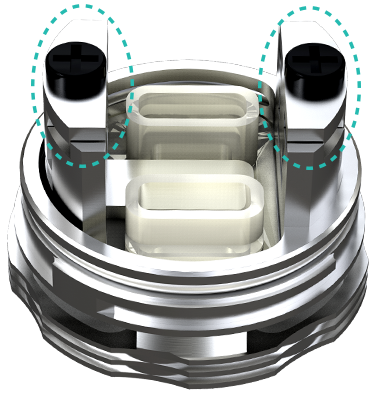 The Wismec Cylin Plus RTA/RDA Tank Atomizer, an updated version of Cylin RTA, is the newest and powerful RTA and RDA tank of WISMEC. Cylin Plus features a diameter 22mm and length 57.2mm, and 3.5ml atomizer capacity. New to the Cylin Plus RTA/RDA is the improved base with elastic contact structure which makes the coil in good contact with the base, and coil fixing become more convenient. You can also rebuild the coils your preference for DIY fun. And Cylin Plus RTA tank apply the Clapton coil to bring you large vapor and pure flavor. Also, Cylin Plus will be more attractive and popular becuase it support both RDA and RTA, The top filling system make the e-liquid refilling more quickly and the bottom airflow control will provide better flavor and great vaping experience.